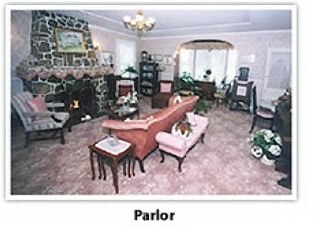 Mary Higgins Clark set a bestselling book here, but it’s still – mysteriously – one of New Jersey’s best-kept secrets. The idyllic beach town of Spring Lake, situated 65 miles south of Manhattan and the same distance east of Philadelphia, might not have the name recognition of Wildwood or Cape May, but it’s famous to those who visit. The peaceful haven is a tranquil place: no traffic jams, parking meters, honking horns, or gaudy arcades. Developed by wealthy Irish-Americans in the 1870s, this is a place of elegance and grace. With the largest percentage of Irish-Americans in the United States, Spring Lake has earned the nickname of “The Irish Riviera” from admirers of the village of rambling Victorian mansions and sprawling lawns. The two-mile boardwalk (the longest non-commercial boardwalk in Jersey) is sparkling clean and made of recycled grocery bags and sawdust. The sand is pristine; the beach non-cluttered. It’s well-worth the $8.00 beach tag, and many of the local B&Bs offer free tags for guests. 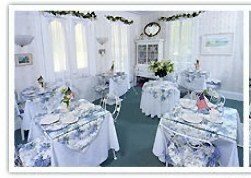 One of the best bed and breakfasts in Spring Lake is the White Lilac Inn. Circa 1880, the Inn was built with a bit of Southern flair, with triple-tiered porches encircling the immaculate white exterior of 414 Central Avenue. Owned for over a decade by Mari Kennelly, this B&B is a refuge from everyday life. Decorated with an eclectic Victorian touch, the property is well-loved and comfortable, and there’s even a secret garden that beckons. Guests are provided with complimentary beach tags and bicycle use, and it’s an easy five minute ride to the ocean. Mari’s breakfast specialty is mandarin orange French toast, served in the bright morning light of the sparkling white Garden Room. Early-riser coffee is available, and many fair-weather guests enjoy sitting on the veranda’s wicker chairs with the morning newspaper. The White Lilac isn’t just a summertime getaway, though. It’s just as lovely in the frosty autumn crisp or bitter winter winds, with the fireplace flickering in the parlor. The White Lilac participated in the 18th annual Candlelight Christmas Inn Tour in December, providing free tour tickets to weekend guests. The White Lilac offers a choice of nine exquisite rooms, some with double whirlpool tubs and private porches, all carefully and thoughtfully decorated. I stayed in the Vermont Cabin, a third-level room with a northwoods theme. Sporting fish netting on the slanted ceiling, a brass bed, electric fireplace, and a private bath, the room has proven to be a favorite with the most challenging of bed and breakfast guests: the men. “Lots of women buy gift certificates for their men,” says Mari Kennelly. “It’s a good guy getaway.” Indeed it is! Mari has decorated the walls with old paint-by-number framed works by her grandfather, and the sentimentality is palpable here. 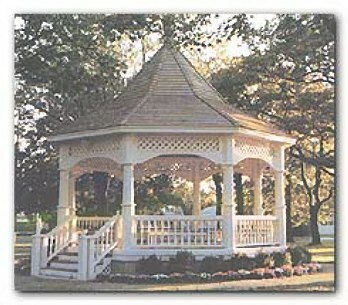 A kid-free environment, the White Lilac has been the setting of proposals, weddings, and anniversaries. Perfect not only for the quintessential romantic getaways, the Inn is also a favorite gathering place for girlfriend weekends, mother/daughter trips, Boomer bondings, and family reunions. “The wallpaper and charming atmosphere remind me of my grandmother’s house,” reflected one guest. “Even the smell of the hydrangeas outside take me back in time.” Spring Lake is ideal for going back in time, yet with plenty to do nearby. There’s antiquing and art galleries, shopping and spas, golfing and Great Adventure park, horse-racing and the historic village of Allaire State Park. Atlantic City is a little more than a hour’s drive, yet a world away from this unspoiled place. Another great place of accommodation is The Spring Lake Inn, built in 1888 as the Grand Central Stables. Nestled on a quiet side street one block from the ocean, the inn’s crowning glories are the blueberry-hued Turret room and the majestic Tower View, a two-room ocean view suite with a crystal chandelier and queen-size sleigh bed. With only 3000 permanent residents, Spring Lake is one of the few seaside places in which visitors can enjoy not only the ocean, but also the lakes. Swans glide and pedestrians stroll or ride bikes over the arched wooden bridges. 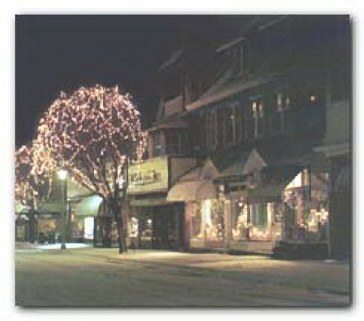 The main strip of town is Third Avenue, with a lineup of classy shops and stylish little eateries. Even the Pizzeria is gourmet here, with some of the tastiest slices around. Also nearby are fine dining spots such as The Black Trumpet with chef Mark Mikolojczyk’s delectable menu, and The Mill, which boasts of water views and epicurean food. No stranger to tragedy, the tranquil Spring Lake leapt to action when the Hindenburg zeppelin exploded nearby. The peaceful sanctuary was also the site where lifeguards pulled to shore the survivors of the 1934 Morro Castle cruise ship fire. History buffs dive into their research of the area’s past in the elaborate building housing the Spring Lake Historical Society. Named for a multitude of underground springs, Spring Lake’s wide tree-lined streets full of weeping willows are a delight. Culture abounds with concerts in the shaded park gazebo, shows by the Spring Lake Theatre group, and a plethora of events at the lovely Tudor-style public library. Easily accessible by highway or train (just one hour via New Jersey Transit from Penn Station), Spring Lake is heaven by the seaside . . . and the lake.